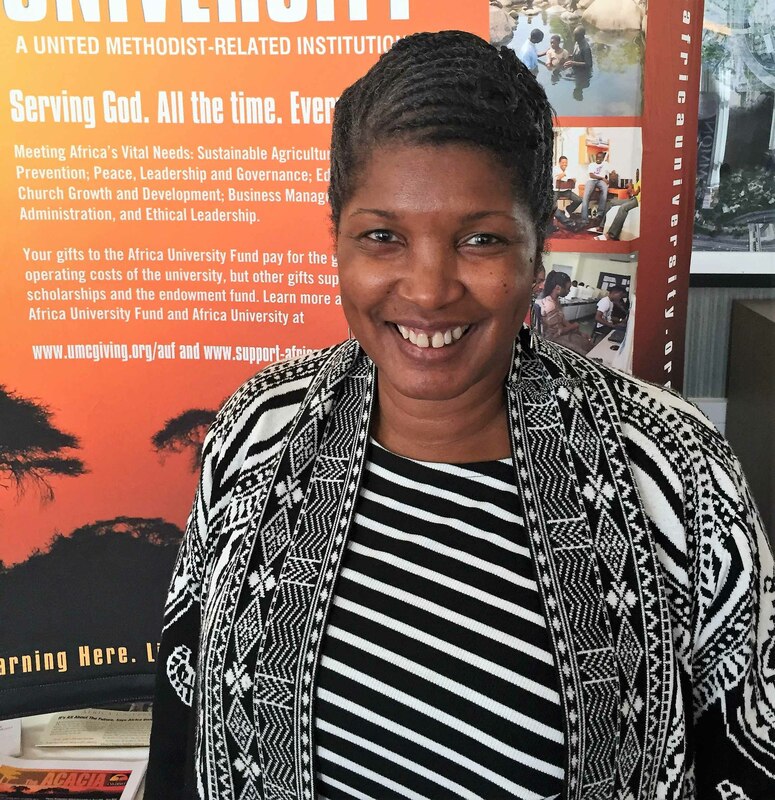 The African-American Clergy Women (AACW) of the South Carolina Annual Conference have reached beyond themselves to sponsor a one-year direct scholarship for a student at Africa University. “God is calling us to be in ministry with other sisters,” says Rev. Dr. Sheila Elliott Hodge, the clergywomen’s president. After hosting the Africa University Choir in her Lake City, SC community during the choir’s Black History Tour in South Carolina in 2018, Hodge reached out to the Africa University Development Office. “What is God saying to the clergywomen?” is the question AU consultant Rev. Regina H. Moore asked. “Equip and encourage a female student studying theology,” said Hodge. The clergywomen raised the $6,000 scholarship within eight months. They did it through the collection of annual dues, a special offering at a Good Friday “7-Last Words” worship service last April, and proceeds from ticket sales and souvenir booklet ads for their June 2018 annual conference luncheon commemorating the AACW’s 25 years of service. Story by Rev. Regina Henderson Moore, AU consultant.